3 good reasons to follow us to Indonesia! 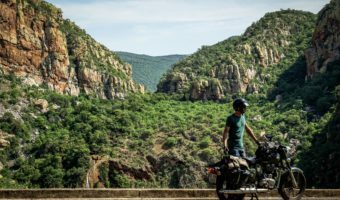 After organizing stimulating motorcycle journeys for more than 10 years, dreams of escape and exploring the unknown are constantly arising. The taste for adventure is built into the DNA of Vintage Rides. 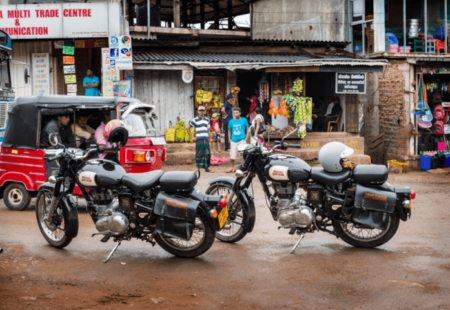 If a Royal Enfield is waiting for us in a new Asian country, why hesitate? Let’s go! 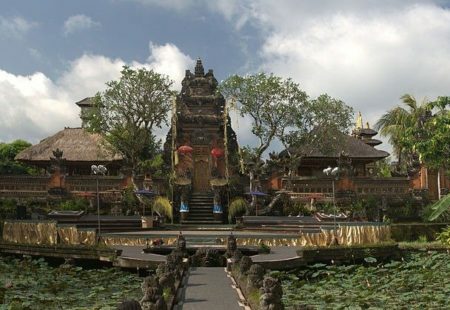 The decision has been made for this summer, when we will fly off to Bali and Java. Are you in? 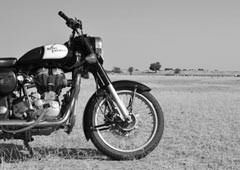 We remain faithful to the Royal Enfield, the legendary motorcycle that started it all for us in India. When new riders meet us for a tour, it’s often their first time trying out this celebrated machine. The single-cylinder seduces every pilot who climbs on. 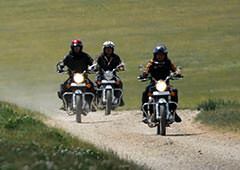 We prefer the Royal Enfield’s style, sound and adaptability in all situations. We always put every effort into building the best tailor-made routes and sharing our vision of an authentic journey, always off the beaten paths. We present to you our best tips, cool spots and carefully selected hotels that are full of spirit and charm. Our assistance is available along the ride with a mechanic responsible for watching over the bikes so you can enjoy your holidays safely with you mind at ease. 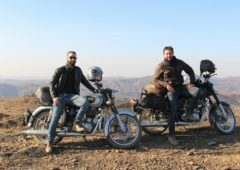 Travelling with Vintage Rides is not about covering hundreds of kilometers, but appreciating them. What matters most is giving yourself time for new encounters and discoveries. While many Asian countries are drenched by monsoons in Summer, Indonesia enters its dry season from April to October. 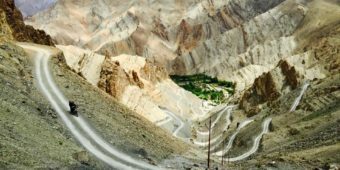 This serves as a great alternative for our bikers searching for other horizons than Ladakh and Mongolia. Indonesia, a geographically intricate country with its 17,000 islands. 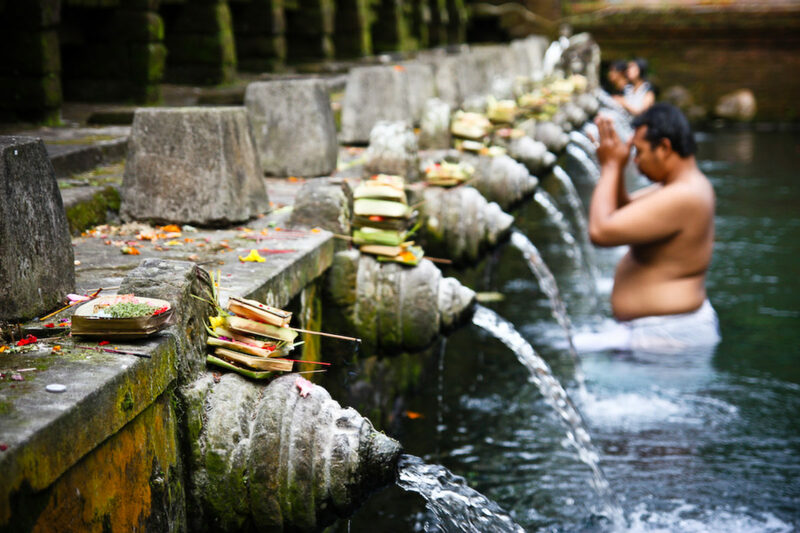 We set our sights on Bali, a small Hindu heavenly enclave. 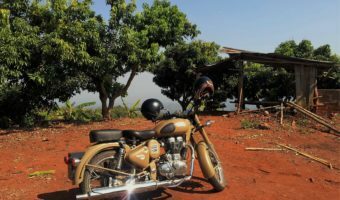 Keeping a link with India, will we again drive to the land of Ganesh on a Royal Enfield! Our base camp in Ubud is perfect for exploring both the riches of Bali and the mythical volcanic land of East Java. Bali, also known as “The Island of the Gods,” has a special atmosphere with harmony between nature and culture. Venturing into the heart of the island on two wheels helps one find their soul. The landscapes are sublime with rich terraces, jungles, waterfalls and lush vegetation. There’s also the opportunity to relax on the beach or in charming accommodation, away from the crowds. The adventure doesn’t end here as we load the motorcycles on a boat on course for Java. 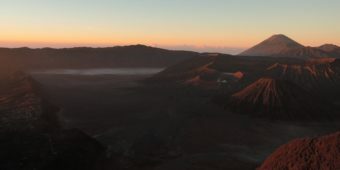 Facing its majestic volcanoes will leave you gaping as Mount Bromo and Kawa Ijen are both feared and revered by the Indonesians. If you would like to continue your escape after the bike trip has ended, Indonesia is an exhaustible source of activities. Lounge on the paradisiacal beaches of Lombok, dive and swim with manta rays, meet the dragons of Komodo and discover Sumatra with its orangutans. Enjoy! To accompany you, it’s François who has decided to start a new chapter of his life. Always driven by the desire for renewal and attraction of the unknown, he is convinced that travel is one of the best ways to open up to others and to the world. One thing is certain for him and that is the geographical and gradual race towards the Southern Hemisphere. 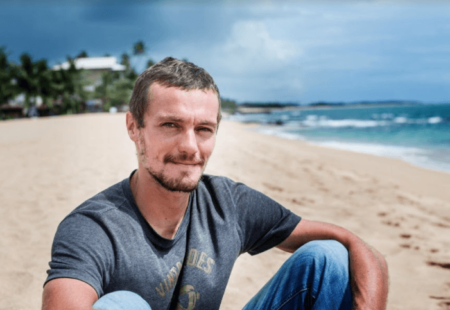 As he has done in the past in Mongolia, Sri Lanka, Nepal and Thailand, Francois is excited for the idea of pushing further south-east of Asia to concoct a brand new motorcycle trip. He knows what works well, what pleases our riders, and all the factors to take into account to properly shape the route. He gives us a few words about this new adventure. 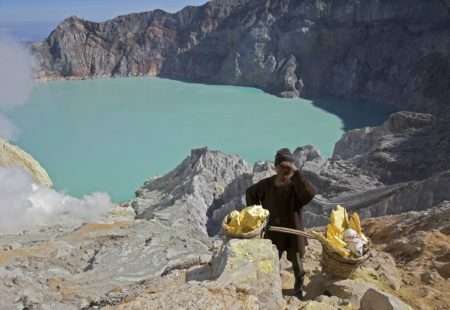 Indonesia, this magnetic earth that makes us dream, is more than exotic. 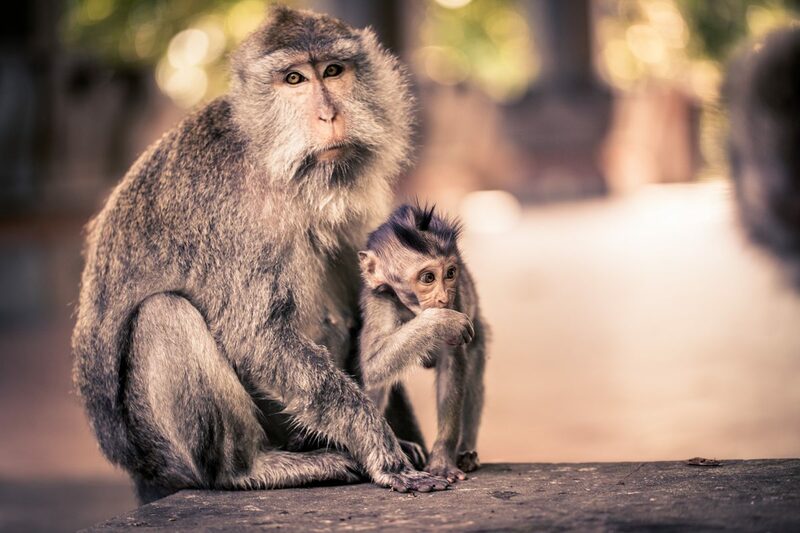 It’s the largest country in Southeast Asia, rich in exceptional biodiversity and a people mixed with ancestral culture! And then Bali is ideal, because it’s already a famous destination, for us it means that you can enjoy good tourist infrastructures while carefully avoiding the coasts invaded by mass tourism. 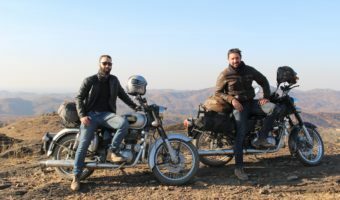 In addition, we will benefit from solid partners on the spot, who have a lot of experience in tourism as well as a shiny fleet of Royal Enfield 500! 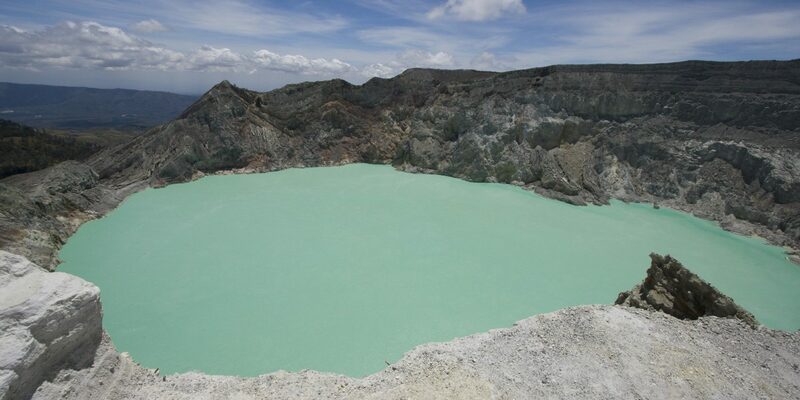 This country is perfect for motorcycling between sea and volcanoes, on small well suited roads, amid sublime landscapes. And then there’s this particular attachment to the Hindu culture that I am eager to find. We are going to be the pioneers of Enfield travels in Indonesia, it's happening now! 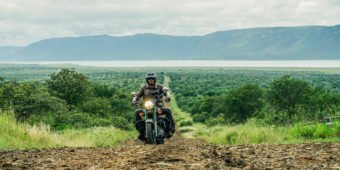 Don't wait any longer to ask information on our first Indonesia motorcycle trip "From Bali to Java on the Volcano Road". Vintage Rides>The blog>Travel Stories>3 good reasons to follow us to Indonesia!